Intricate and a little exotic, this collar is sure to attrct lots of admiring glances! A fabulous American designer print of paisley like designs in dozens of shades of blue and green with touches of black, all highlighted with metallic gold coloured print. This collar looks especially stunning on fawn and red hounds. 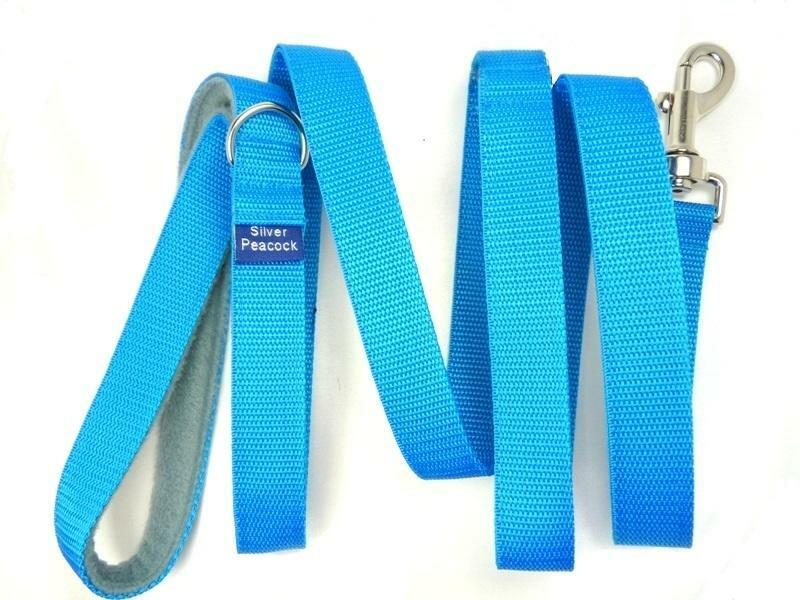 The collars are lined in co-ordinating navy fabric and are finished with our signature robust silver coloured hardware.